In this month’s guest post we explore the Japanese concept of Shinrin-ryoho 森林療法 which translates as Forest Therapy. This introductory note is contributed by Prof. Dr. Iwao Uehara. Iwao UEHARA means “A big rock on the upper field”. Dr. Iwao is a professor at the Tokyo University of Agriculture and president of The Society of Forest Amenity and Human Health Promotion in Japan. He is also the founder of Forest Therapy (Shinrin-ryoho) in Japan since 1999. Prof. Iwao’s goal is to promote health of forests as well as human beings. What is Forest Therapy and its Healing Effects? Forest Therapy (Shinrin-ryoho) is promoting the health of both forests and human beings! Forests and the trees within them have many healing properties. They promote our health, prevent illness, provide relaxation opportunities, and a rehabilitation environment, can be a treatment place for disabilities, peaceful counseling space, and so forth. When we arrive in the forest, we sometimes pay more attention to oneself and one’s life. Walking and exercise in the forest also change our attitudes and perspectives. Trees also have many fascinating aspects for medical, art, and care utilization. However, some forests are also ill, depressed, and having stress like us human beings. 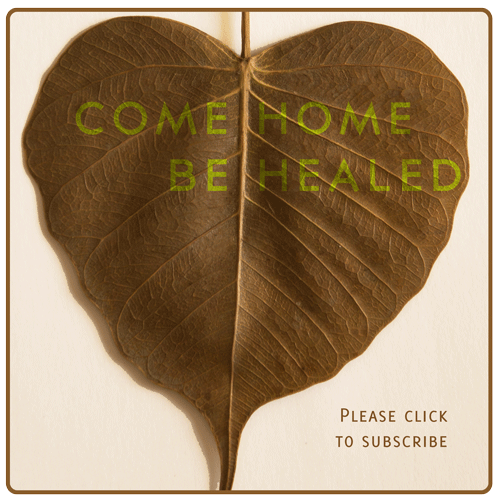 So, forest therapy is attempting to heal forest and human beings together. Working in the forest to improve it’s health, can be a very therapeutic experience. There have been many examples of forest therapy and forest amenity programs in Japan. First of all, Forest Walking. Walking is the simplest rehabilitation method and whole body exercise. Walking can prevent lifestyle related disease. In addition, individuals walking in the forest enjoy the landscape, fresh air, and natural environment. Next, relaxation. It is quiet and peaceful in the forest. Relaxation in the forest inspires natural peace in our body and mind. It adjusts our nervous system balance too. Third, rehabilitation. For clients after an operation, accident, and preparing to reintegrate with society, forest walking & working is one possible rehabilitation program. Fourth, treatment and occupational activities in the forest. Carrying logs & branches, clipping trees & clearing weeds, and planting trees are typical examples of occupational therapy. Fifth, counseling. Counseling in the forest makes clients relax and sensitive. Forest amenities like landscape aesthetics, wind, fragrance, birds singing sometimes give useful hints to solve our problems and provide an ideal setting for traditional counseling approaches. I hope you will design your own healing or health promoting programs using forests and trees as a setting and as inspiration. There have been already many invaluable case studies utilising forest amenities in Japan. By experiencing forest activities for a long term and repeatedly, some clients with mental, psychological, and physical disabilities showed positive treatment effects! Their communication has also changed positively. Some experimental studies suggest that forest walking can reduce stress hormone, enhance immune function, and balance nervous system. Recently, some case studies of patients with Dementia found that they improved their communication ability greatly. Occupational activities such as carrying logs or planting trees with teamwork are also used as one of the forest therapy exercises. Especially, for people with mental disabilities or memory disabilities, these activities are proving to be effective and restorative. In addition, trees and forest have been sometimes worshipped as natural gods in Japanese culture. Such forests always provides counseling space for the people who have psychological problems. Trees also have great possibilities for healing. For example, some trees provide medicine, herb tea, and fragrance which have certain healing effects. Forest therapy includes drinking and eating natural amenities, too. Cherry blossom tea is used for celebration in Japan. Berry tea is effective for decreasing high blood pressure. Many people recently prefer to enjoy and exercise in the nature. There are beautiful green parks, mountains, and forests all over the world. Also, there are many fairy tales and local folk culture concerned with trees or forests. Therefore, world forests have a big potential for forest therapy programs everywhere. Let’s reconsider your familiar forests and develop the possibilities together! In case you have any questions for Prof. Iwao Uehara, please add them in the comments section. Your questions and answers by Prof. Iwao will add to our collective knowledge. For more information on his work please visit. You can subscribe to our monthly blog posts at this link. We are a small group of friends trying to find new ways to reconnect people with nature. Our aim is simple. Helping people heal. Helping forests heal. All the birds have flown away. The dogs in the village are showing signs of distress. The beach is eerily quiet. This scene was taking place on Dec. 26, 2004 in many coastal habitats across the Indian ocean. Some time later the 3rd largest earthquake on record broke out in Indonesia. Following the earthquake, killer waves radiating from the epicentre slammed into the coastlines of 11 countries, causing massive damages from east Africa to Thailand. The world communicates with us through our senses. Our perception of life is based on what we see, hear, smell, taste or touch. These senses help us navigate through life and create experiences which shape who we are, forming our concept of Self. Other than the traditional five senses, humans have multiple other senses which are less talked about. Some of these additional senses include: ability to sense pain; sense of balance and orientation; sense of time; Ability to sense changes in temperature; and a sense of direction. Is there something beyond these known sense perceptions? A hidden part of ourselves which can help us grow as individuals. All across time, humans have relied on their senses to survive and thrive in the natural world. Trackers and indigenous tribes still use techniques that have been honed over centuries. For example, a small group of native American Indians known as ‘Shadow Wolves’ work on the US-Mexico border and use their skills to catch illegal drug traffickers. In the modern age, our connection with the natural world has reduced drastically. Majority of our time is spent indoors and increasingly in front of screens. It is changing how we use and develop our senses. The two major outcomes are underutilisation of certain senses and a sensory overload of others. Sensory overload occurs due to multiple reasons like city noise, overuse of electronic media, unhealthy diet and habits, etc. It impacts our mind and body and has a big effect on how we react to life or learn from it. Aggression, addiction, impulsivity, loneliness, stress are all linked intricately to our sense stimulation or lack of it. Reconnecting with nature is a great antidote for restoring our wavering attention and rebalancing our emotions. Ample research findings now point to the various health benefits of spending time outdoors. However, at the edge of science lies one of the greatest gifts that nature has bestowed upon all living creatures in varying degrees. Science is interested in the diversity of life. And intuition is much more aware of the unity of life. ~ Joseph Bharat Cornell. Author of Sharing Nature. The sixth sense is generally used as a metaphor for sensing something beyond our known physical senses. In the dictionary – ‘intuition’ is defined as a thing that one knows or considers likely from instinctive feeling rather than conscious reasoning. However a simpler and more relevant understanding of this term is linked to heightened awareness. Awareness of the self, of others around us and of the environment we live in. A classic example comes from the many reports of certain animals and birds behaving radically, much before a natural disaster like an earthquake or a tsunami strikes. This reaction is attributed to the greater development of their senses which allows them to perceive subtle changes in nature. People may have different interpretations for the sixth sense, but ultimately it is the ability to feel rather than think. So it is more about sensitivity rather than some special sense. By working on our own senses we can sharpen our awareness levels to be conscious of our own feelings in the present moment and make wiser choices for our future. Here are some exercises to sharpen your sense experiences. Try them out in a natural setting, in pairs or small groups. Before you start the walk, stand in silence and pay attention to your senses individually for a minute each. Observe your surroundings with intention and take in the various sights colours and patterns. Move on to hearing attentively. Close your eyes and listen to all the sounds around you for a minute. Then focus on your breath and try to notice the smell of the forest. Finally, feel the earth beneath your feet and be aware of the sun and wind on your skin. During the walk, move slowly and in silence. Find an appropriate place in nature to pause and try out one of the exercises given below. Share your insights with each other before resuming the walk and then repeat the process. Eyes: Take time to identify at-least 5 different colours present in your surrounding. Pay attention to each colour separately and as you spend some time with a particular colour notice how it makes you feel. Ears: Keep your eyes closed and gradually rotate yourself in a circle to capture sounds coming from different parts of the environment. Feel the mood of the forest, from the sounds you hear. Touch: Find a unique tree and feel it with your hands to memorise it’s shape, texture and contours. Then have your partner blindfold you and lead you to different trees to see whether you can recognise your tree with just the memory of your touch. Nose: The sense of smell is our oldest sense. For the exercise, collect leaves or flowers from different plants around you. Choose any one and memorise it’s smell by keeping it close to your nose for a few seconds. Place it back in a disordered pile with other leaves and flowers. With your eyes closed, use your nose to pick out your chosen object. Taste: Carry a fruit with you on your walk. Find a scenic spot to sit quietly and eat the fruit slowly. The aim is to create a memory of the experience. Notice the affect of the ambience on the taste of the fruit. Working on our senses opens the doors to having a richer experience of life and more importantly fosters a feeling of being alive. We hope this article has given you some interesting ideas to think about. Our intuition says that the next time you are in nature and pay attention to your senses, you will discover something new about yourself. END NOTE: If you have any other sense exercises to share, please add them in the comments section to grow our collective learning. The Earth needs more sensitivity from humans, so that we can hear what it is saying and take actions to shape where we are going.